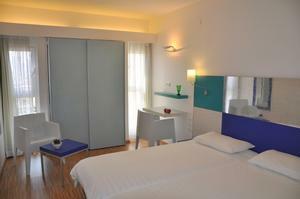 The hotels has 24 corner rooms with balconies for families up to 2 adults and 2 children . 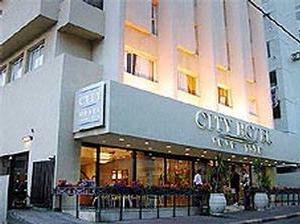 The City Hotel has 96 guests rooms, (24 of which have balconies) and all equipped with air conditioning, central heating, bath, radio, direct dial telephone, color cable television (including CNN), coffee and tea self-making facilities, a mini-fridge (upon request) and a personal safe. 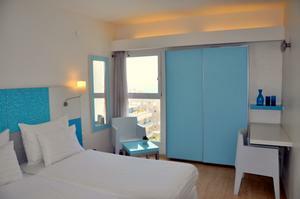 The City Hotel with its very comfortable home away from home atmosphere is centrally located in the hotel area of Hayarkon Street in Tel Aviv, just moments from the Mediterranean beach. "This is my 2nd stay here. 1 block from beach. ALL one could ask for. Breakfast is awesome. ..."